Originally published under the title, "The Real "Enemies" of Turkey." 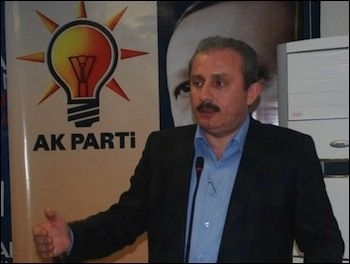 At a party meeting in Adana last month, Justice and Development Party (AKP) Deputy Chairman Mustafa Şentop said that opponents of his party were "enemies of Turkey." In a recent speech, the deputy chairman of the party that rules Turkey claimed that the opponents of the Justice and Development Party (AKP) were "enemies of Turkey." This statistic means there are over 40 million Turkish enemies of Turkey living in Turkey. In a more recent speech, the AKP's parliamentary group chairman, Mustafa Elitas, claimed that those Turks who opposed the government's new security bill, which observers fear would further curb civil liberties, were "terrorists and traitors." That claim found a response in the media. If accusing millions of people of being terrorists and traitors is a right, Hurriyet columnist Mehmet Yilmaz reasoned, "Then, Mr. Elitas, I return your words to you. He who defends this bill is a terrorist and a traitor!" According to the AKP, more than half of Turks are enemies of their own country. Once again, according to the AKP's official narrative, more than half of Turks are enemies of their own country, terrorists and traitors. One of those terrorists/traitors/enemies is the psychiatrist Ahmet Koyuncu, a renowned psychiatrist with several published articles in international journals, six academic books, and one novel. Last year, under a pseudonym, Koyuncu posted an article about Turkey's then Prime Minister, "Recep Tayyip Erdogan is Turkey's average. Recep Tayyip Erdogan is Turkey." In his article, Koyuncu claimed that Erdogan's religiosity is the religiosity of the average Turk; and that his vindictiveness is the vindictiveness of the average Turk. Prominent psychiatrist Ahmet Koyuncu was busted for calling Erdogan "average." Koyuncu claims that his article contained a bio-psycho-social analysis based on scientific grounds. He had written the article shortly after a mine disaster had killed 301 workers in Soma, western Turkey. Erdogan visited the town, which a few relatives of the dead miners protested against. The protest apparently prompted Erdogan to slap one and shout at him, "Where are you off to, you Israeli sperm!" Koyuncu is now facing up to two years in prison for insulting Erdogan on Facebook. Koyuncu says he never insulted Erdogan, but that the indictment was simply putting his academic article and science on trial. The first hearing is scheduled for March 18. Turkey's systematic insanity can also come in more tragic -- albeit funny-looking -- flavors, such as a very bad joke. Last May, Ugur Kurt was attending a funeral service in Istanbul's Okmeydani district, at a "Cemevi" (an Alevi house of prayer not officially recognized as a prayer house by the Turkish government). Kurt was killed by a stray bullet fired by a police officer, in the neighbourhood to crack down on mourners. Kurt was taken to a hospital but died shortly after. Sorry, gentlemen, Mr. Kurt cannot come your office within seven days. In fact, he cannot come to your office ever. Fortunately, one day after a newspaper report that Kurt was summoned to the government office, the social security department issued an apology to his family. 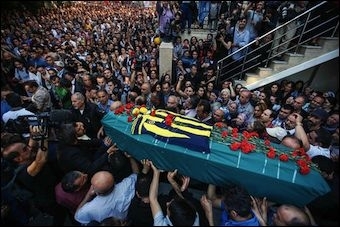 Thousands attended Ugur Kurt's funeral last year. What about the officer who killed Kurt? 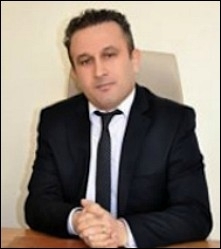 According to prosecutors, the officer, identified only by his initials, S.K., was only guilty of "reckless negligence by disobeying his supervisors and firing his weapon" -- a charge that carries a sentence of up to six years in prison, slightly heavier than what the prosecutors ask for when they indict a dissident who insults politicians such as Prime Minister Ahmet Davutoglu or President Erdogan. Erdogan and his party may win one election after another. But Turkey is becoming increasingly "unmanageable" due to deep polarization between the supporters and opponents of an authoritarian party. Turkey is becoming increasingly unmanageable due to deep polarization between supporters and opponents of the AKP. Columnist Taha Akyol, a one-time supporter of Erdogan, wrote, "I have been warning of this since 2011. Unfortunately, we are galloping at full speed toward ... a point where the society drifts into clash and becomes unmanageable." An AKP bigwig felt compelled to make the same warning. Deputy Prime Minister Bulent Arinc said that although the AKP members win [about] 50% of the votes at the polls, the rest of society, who did not vote for them, look on them with hate. "We receive 50% of the votes," he said, "but it turns into hate speech from the rest of the 50% ... When we used to go out on the streets, our supporters would love us very much and our opponents would respect us. Now I detect looks filled with hate." Erdogan is still happy with the love of half the country and the hate of the other half. His party remains unchallenged, but cannot sustain the "great Turkish divide" forever. More and more Turks, when they get newly acquainted with a stranger, have the habit of exchanging distrustful looks, trying to understand to which Turkey the other one belongs.